The Minister for Children and Youth Affairs, Katherine Zappone TD, has announced the appointment of Mr Pat Rabbitte as the Chairperson of the Board of Tusla, the Child and Family Agency. Mr Rabbitte is being appointed by the Minister following a selection process managed by the Public Appointments Service and in accordance with the Government’s Guidelines on Appointments to State Bodies. Mr Rabbitte has served as a public representative for 30 years. 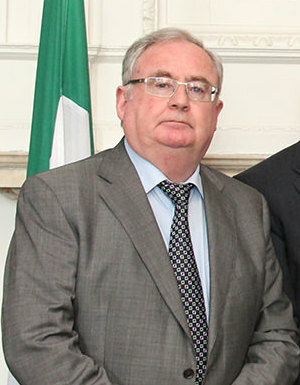 He is a former Irish Labour Party politician who served as Minister for Communications, Energy and Natural Resources from 2011 to 2014, Leader of the Labour Party from 2002 to 2007 and Minister of State for Commerce, Science and Technology from 1994 to 1997. He has participated in, and chaired, a number of task force initiatives and international negotiations and will bring considerable expertise to the Board of Tusla. A vacancy for the role of Chairperson on the Board of Tusla will arise on 31 December, 2018 when the term of office of the current Chairperson, Ms Norah Gibbons expires. “I am very pleased with to appoint Mr Pat Rabbitte to be the next Chairperson of Tusla. I was impressed by the calibre of candidates willing to put themselves forward for this challenging role. I am am in no doubt that Mr Rabbitte has all the qualities necessary to lead Tusla to the next stage of its development. In his many roles he has provided strategic leadership at a corporate level and delivered significant projects which have benefitted the Irish people. These are skills which will help him lead Tusla into the future and addressing the many challenges it faces as an organisation. The Minister has also recently appointed Anne O’Gara to be the Deputy Chairperson of the Board of Tusla with effect from 1st January 2019, taking over from Rory O’Ferrall, who will continue as an ordinary member of the Board until the end of 2019. Mr Pat Rabbitte has served as a public representative for 30 years. He is a former Irish Labour Party politician who served as Minister for Communications, Energy and Natural Resources from 2011 to 2014, Leader of the Labour Party from 2002 to 2007 and Minister of State for Commerce, Science and Technology from 1994 to 1997. He is currently a member of the Council of the Economic and Social Research Institute (ESRI). As a member of Cabinet from 2011 to 2014 serving as Minister for Communications, Energy and Natural Resources he held responsibility for key State, commercial and utility companies and major employers including the ESB, Eirgrid, Bord Gais and Bord na Mona. As Minister for State at the Department of Enterprise and Employment with responsibility for Commerce, Science and Technology During his tenure as a junior minister Rabbitte was involved in enacting legislation which gave the credit union movement more authority. Mr Rabbitte was Chairperson of the Cabinet Sub-Committee on the Misuse of Drugs from 1996 to 1997. In 1993 he was the Chairperson of Dublin County Council. Ø Community-based services related to the psychological welfare of children and families. The Child and Family Agency Act, 2013, provides for the appointment of a nine person Board, consisting of a Chairperson, a Deputy Chairperson and seven ordinary members all appointed by the Minister for Children and Youth Affairs.